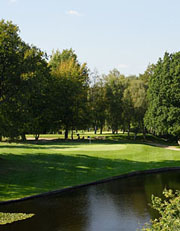 Cottesmore Hotel Golf & Country Club is set in some of the most beautiful Sussex countryside and has a reputation for providing an excellent Country Club experience. Cottesmore welcomes the serious golfer who maybe looking for membership or the casual golfer who may just want to pay a green fee. The wide range of facilities include a 21 bedroom hotel, 36 holes of golf, a modern health club with an excellent 15m pool and two tennis courts. Cottesmore also hosts private functions, weddings, business conferences, corporate events and is the perfect venue for golf days and golfbreaks. The courses have been sympathetically laid out to take full advantage of the beautiful tranquil surroundings which were originally designed by the famous Landscape Architect, Capability Brown. One of the key benefits of Cottesmore is the 36-holes of golf can cater for the new golfer on the shorter Phoenix course, while the experienced amongst you can test your skills on the more challenging championship Griffin Course, which played host to the Sussex Open in 2006. The Club is only 1 mile from the M23 and just 15 minutes from Gatwick Airport making it a great meeting point for friends and family from around the country, if not beyond. The atmosphere in the club encourages you to relax and enjoy your visit providing an environment where the whole family can enjoy themselves.